"The Dollmaker's latest creation threatens the Stuffies! Can you help free Theodora and save the Stuffies?" Wow! The reaction to Stuffed Fables has been amazing! We're so touched that our fans are enjoying this labor of love! As the game makes its way into the hands of more and more gamers we're thrilled to hear stories of enjoyment, tension and adventure! As a special thank you to our fans, we've already released the Stuffed Fables Coloring Book which you can find here. This book contains not only great pages for coloring but two ALL-NEW Stuffies to add to your adventure! In addition to this download, we've decided to release ANOTHER download for Stuffed Fables fans: Lost Story #1! This lost story is a stand-alone adventure for Stuffed Fables that can be inserted between chapters 3 and 4 if players are enjoying Stuffed Fables as a campaign. This exciting story sees the Stuffies battling on the streets of their town with the dreaded Dollmaker and his newest contraption! You can download Lost Story #1 at the link below, along with a page for the special Car tokens attached at the end. We reccomend priting this Lost Story out on 11x17 Cardstock paper, front and back. This will allow you to either have the book cut down or cut it out youself. If you'd like there is also space on the edge of each page to accompany a spiral binding. 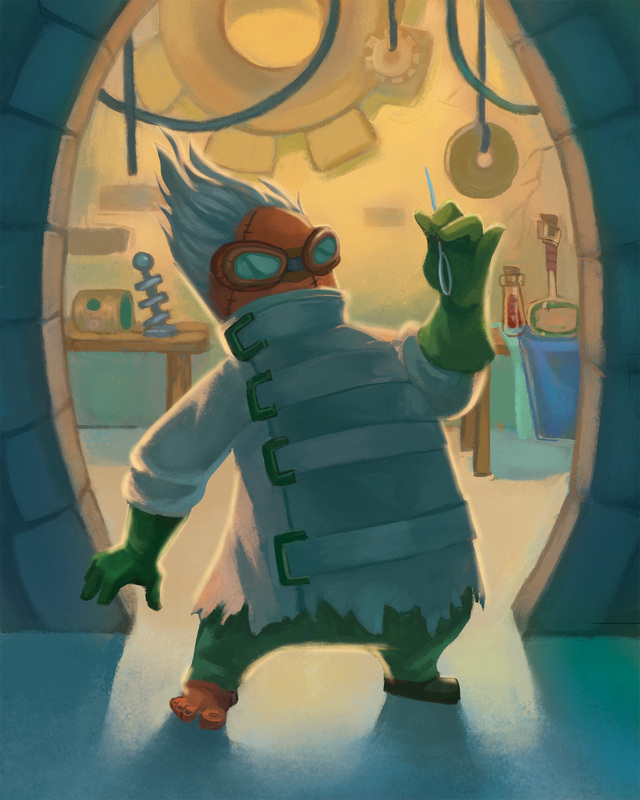 We do not reccomend that you try to unwind and add this chapter to the main Stuffed Fables adventure book, as the spiral there is not designed to take on a wider book, and removing the spiral could damage it or your adventure book. We hope our fans enjoy this special story! 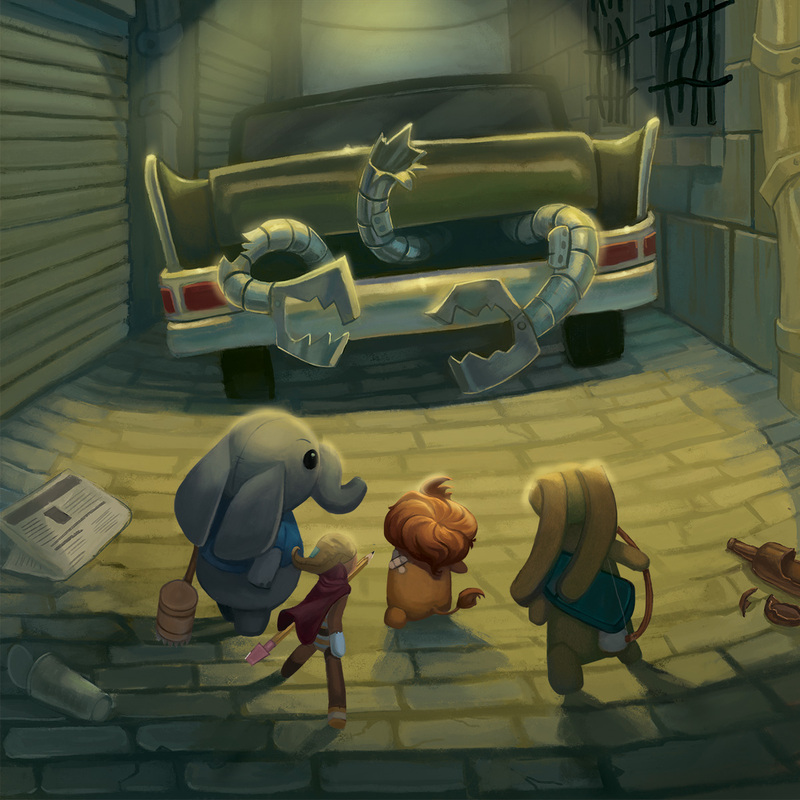 We're so excited to release it as a thank you to the many fans that have patiently waited for Stuffed Fables! If you haven't picked up your copy yet, you can find it at your local retailer or on our webstore here. Good luck, Stuffies! You can download Lost Story #1 here.